Conventions are one of the best parts of the competitive dance world. Learn more about our competition dance team, Just Dance! What is a Dance Convention? A dance convention is workshop classes taught by high-level faculty. Many times conventions also include a competition. So, a studio can choose to attend a convention only, a competition only or a competition and convention. If a studio is competing during a convention, its dancers are required to participate in the workshop classes. However, studios can also choose to have dancers only participate in the workshop classes and not compete. Every convention also holds auditions for scholarships to attend other events, prizes and the opportunity to attend that organization’s nationals. 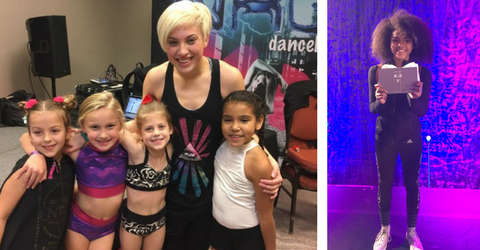 Dance conventions are all about learning and growing and the dance community coming together. Faculty are tough, but they’re also quick to offer praise. Sometimes hearing praise from a professional dancer teaching on tour is just the confidence boost a student needs. Plus at conventions, dancers are encouraged to tell each other when they are impressed with technique or a skill. Often praise from a peer is even more powerful than praise from a teacher. As students get older and attend conventions, we can see them realizing their potential in dance. 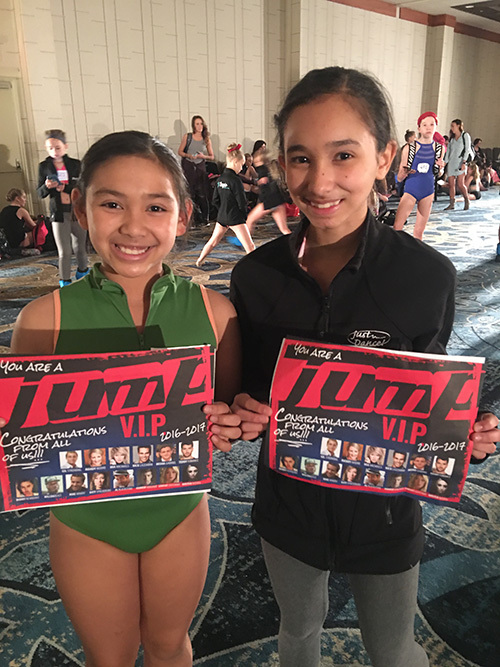 They’re taking classes from professional dancers – and they begin to see themselves teaching dance or touring with a convention organization after high school or college. That’s often why older dancers from Just Dance! are attending as many optional conventions as they can. They know the more often they go, the more they’re exposed to, the more opportunities they’ll have and the more teaching styles they see. Plus at an optional convention, it could be just a couple dancers from each studio – walking into a full class full and only knowing one or two kids is very different from going into a class with your entire dance team. These dancers are building skills and character.